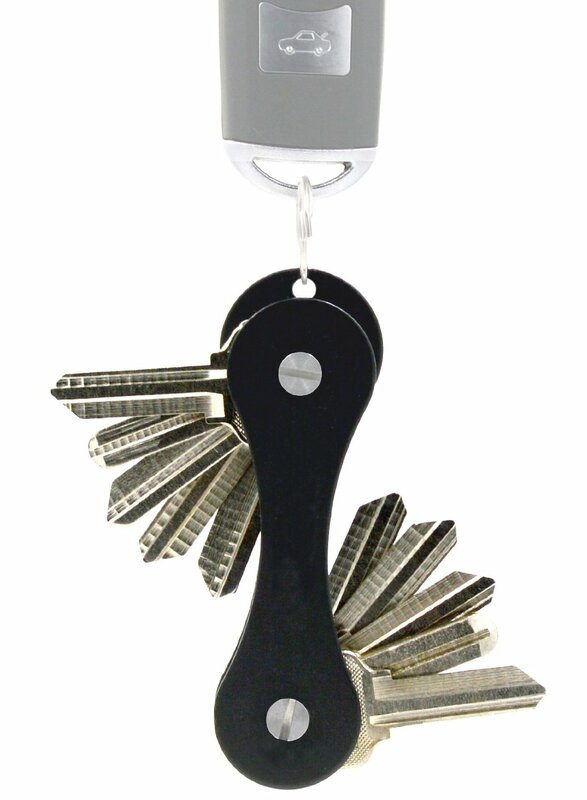 If you are one of those people who carries a dozen or so keys, you might like the W-plus Extended Compact Key Holder. I got one in order to organize my keys, and eliminate carrying bulky keychains around. I didn't expect the need to assemble it, although, in hindsight, I don't know how else you would get the keys onto the key holder. It wasn't hard to assemble though, and came with clear instructions. It is said to hold anywhere from 2-15 keys, but after putting 4 keys on it I am not certain if 15 would actually fit. I suppose they might, especially if they were small ones. It has spacers to expand it. It seems to work well for what it was intended, keeping keys organized. I think it would be a lot more useful to someone who carries a lot of keys with them, so would recommend it to anyone with a pocket full of keys. For those of us who only have a couple of keys it probably isn't a necessity, although it could be used by anyone.